Komodo National Park is the home of the unique and rare Komodo Dragon (Varanus komodoensis). Because of the unique and rare nature of this animal, KNP was declared a World Heritage Site by UNESCO in 1986. An adventure to the lair of the dragons in the Komodo National Park is definitely the experience of a lifetime. This is the only remaining place on earth that is the habitat of Komodo, Varanus komodoensis, the largest living prehistoric lizard, the only one worthy of the title “Dragon”. This national park is the closest you can get to a real life Jurassic Park experience. Secluded from the modern world, the Komodo National Park and its surrounding areas are also where nature has been kept its most pristine. Here, the seas offer vibrant colors and exotic marine life which amaze divers and snorkelers alike. On the surface, beautiful unspoilt beaches radiate a certain sense of serenity. On the hills above the vast savannah, you can gaze upon some of the most spectacular natural scenery you will ever see. 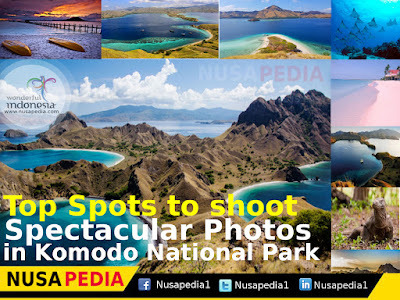 Besides immersed in the splendor of nature, these spots also offer the perfect settings and composition for photography.So, whether you are a professional photographer, avid Instagramer, or just simply love to take great photos, these are some of the best spots to shoot your pictures in and around Komodo National Park. From the summit of Padar Island you can see beautiful beaches surrounding the island and some of the most fascinating natural scenery that you can ever hope to find. With all these amazing photo opportunities, Padar Island has even been dubbed a “Haven for Photographers”. The island is a great spot for sunrise and sunsets making it perfect for capturing the beautiful beaches or rolling hills catching the rays of light. 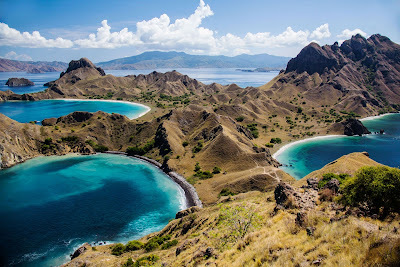 Padar Island is the third largest landmass within the Komodo National Park and lies between Komodo and Rinca Island. Although you may need to trek or hike up to some of the vantage points, the rewards waiting at the top is more than worth it. Padar is mostly savannah-covered, surreal landscape fringed by bright green-capped mountains of fairy-tale shapes. It’s all surrounded by three turquoise bays, and curiously, each one of the bays’ beaches has different coloured sand: One is pearly white, another charcoal black, and a third is a very rare baby pink. It is a rare combination, a quirk of this unique island.The black-sanded beach has volcanic origin, composed of various dark minerals. The pink, one of a few in the world, has pulverized red coral mixed with white sand. And the white one, in most any other setting would be a spectacular find. Here, it almost plays third fiddle. Gili Laba is a small island near the main island Komodo. Gili Laba is an uninhabited island located one hour away from Komodo Island. From Labuan Bajo, it will take around four hours to get to the island. The island has become a popular travelers’ destination since the rise of many sailing trip tours offered by tour service agents in Flores and Lombok. The island offers one-of-a kind view of the Flores sea from the top of its hill. When you arrive at the island, you will be greeted by the white, clean sand completed by the clear water with amazing combination of blue and green. The whole island has hills all over, with green savannah that turns yellowish when the dry season comes. Snorkeling is a favorite activity to do here. Accompanied by the sea breeze and the flying birds, it will give you the perfect feel of tropical paradise. Eventhough Gili Island is located near Komodo National Park, you don’t have to worry about the predators. There isn’t any known komodo living in the island. After you have done snorkeling, you can trekking to the top of the hill in the island. To get to the peak, it takes a lot of physical and mental work because of the steep trail even up to 70 degrees. To reach the top, you will need around 30-45 minutes. The blowing wind will sometimes makes it harder, but your effort will be rewarded as you arrive at the top of the hill. All of your tiredness will disappear as you see the stunning scenery of the sea and nearby islands before you. Prepare your camera to take pictures to remember your adventure. However, don’t stand at the peak for too long because the wind can be harsh and dangerous for you. Located only some 15 kilometers from the growing harbor town of Labuan Bajo (the gateway to Komodo National Park), Kanawa Island is fringed with a bed of coral reefs teeming with colorful fish all around. Its turquoise water is exceptionally calm and clear. The island also offers views of sunrise and sunsets that you can enjoy from the top of the hill located at the center of the island. As it is also a favorite spot for snorkeling, you can also take some marvelous underwater photos among the colorful fish and coral reefs. Kanawa is a beautiful tropical island of about 32 Hectares, fully surrounded by natural reefs. 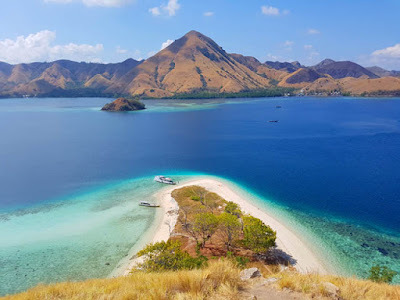 It consists of two main white sand beaches and one small, hidden sand cover.At the center of the island a hill guarantees astonishing 360 degrees views all over Komodo National Park, offering one of the world’s most spectacular sunsets.Kanawa is a beautiful tropical island of about 32 Hectares, fully surrounded by natural reefs. It consists of two main white sand beaches and one small, hidden sand cove. A clear blue sky above, with fluffy white clouds drifting lazily across, rolling green hills, covered luxuriantly in thick vegetation interspersed with high, rocky cliffs. Here are calm, clear waters, tinted by the colorful corals below its surface, and alive with the movement of a hundred species of marine life. Last, but not least: a stretch of soft sand, neither white nor black, but surprisingly, Pink. 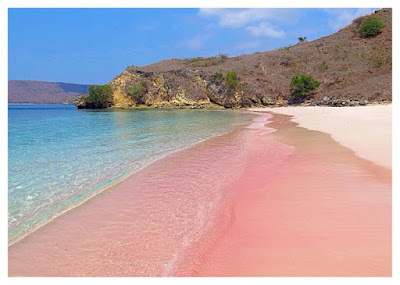 This is what await you at the Pink Beach of Komodo Island, one of only seven pink beaches on the planet. With its unique feature, taking photos here is definitely a must. For a better view of Pink Beach, try to reach higher ground and capture the exceptional views with your camera. The main lure is its pink sand. The beach has several visitors every day. That means it is quite popular among tourists. The water is clear and shallow. It is calming! There are also some hills nearby. The perfect time to visit Pink Beach is during summer. It features perfect weather and clear sky. You can even see some unique clouds above. On the hills, there are only some trees. Usually, tourists may walk on the shorelines and enjoy the breeze of the wind. 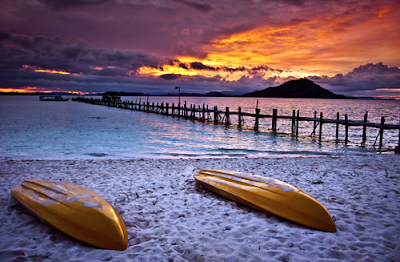 It is a relaxing experience so you must visit this beach someday. Pink Beach is an additional charm. The main attraction in Komodo Island is definitely the giant lizards. They are the rarest lizard, after all. Their saliva contains deadly bacteria. They use their bite for hunting. 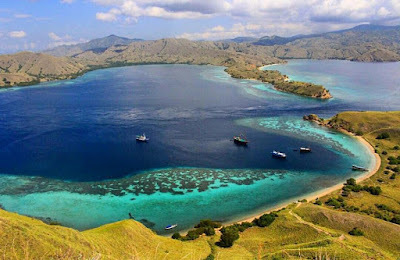 The island also becomes the home of Komodo National Park. It is a famous conservation. In fact, the world has acknowledged it as one of the world’s heritages. It is a great opportunity to see those exotic animals directly. Though, you must not get too close to them. They are dangerous animals. Manta Point Komodo is a divesite rich with bottom based plankton making it an alluring spot – attracting dozens of Manta Ray for feeding and cleaning. Accessible by chartered liveaboard, the dive site sits between the islands of Komodo and Rinca within the Komodo National Park. 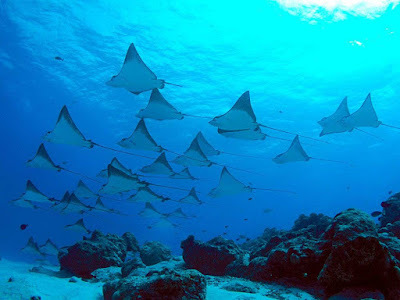 Geographically the site is directly on the channel connecting the Indian and the South West Pacific oceans, each hosting distinct underwater climates that come together to create an ideal environment for Manta Ray. You can expect to drop down just ten metres or so to find a sandy bottom not heavy with coral but blessed with excellent visibility for most of the year and a reasonable current to nourish the nutrient rich arena for the Manta Ray. The spellbinding beauty of Komodo National Park also lies below the surface. For divers and underwater photographers, your trip to Komodo National Park will not be complete without diving into Manta Point. Manta Point (often called Karang Makassar by the locals), is a popular spot among diving and snorkeling enthusiasts, being the place where they can encounter giant Manta Rays. Aside from opportunities to see these majestic gliders of the sea, Manta Point also offers other excellent diving and snorkeling experiences. Reefs lie from only 2 meters to 9 meters depth. Turtles, sharks, eagle rays, giant trevallies, huge clams, various kinds of sponges, and cuttlefish are just among some giant sea creatures you may see during your underwater adventure. Boasting serenity and pristine scenery, Kelor Island is another spot in the National Park that provides opportunities for perfect shots. The island has many features, including beautiful beaches, calm waters, looming hills, and more. The seascape is definitely top-notch, the kind where you just want to sit back, relax and indulge your eyes in its magnificent splendor. Since the island is relatively small, you can easily stroll around and explore every angle for your perfect shots.